(Bloomberg) -- For the past year, select Google advertisers have had access to a potent new tool to track whether the ads they ran online led to a sale at a physical store in the U.S. That insight came thanks in part to a stockpile of Mastercard transactions that Google paid for. A Google spokeswoman declined to comment on the partnership with Mastercard, but addressed the ads tool. "Before we launched this beta product last year, we built a new, double-blind encryption technology that prevents both Google and our partners from viewing our respective users’ personally identifiable information,” the company said in a statement. “We do not have access to any personal information from our partners’ credit and debit cards, nor do we share any personal information with our partners.” The company said people can opt out of ad tracking using Google’s “Web and App Activity” online console. Inside Google, multiple people raised objections that the service did not have a more obvious way for cardholders to opt out of the tracking, one of the people said. Seth Eisen, a Mastercard spokesman, also declined to comment specifically on Google. 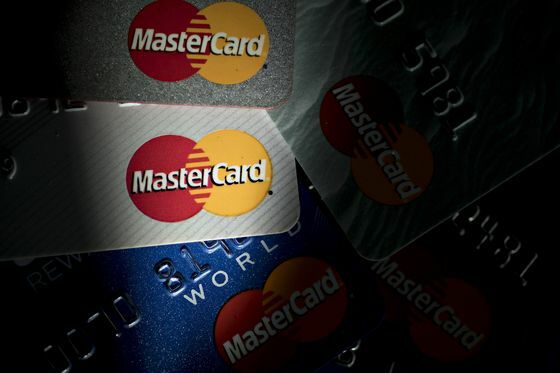 But he said Mastercard shares transaction trends with merchants and their service providers to help them measure "the effectiveness of their advertising campaigns.” The information, which includes sales volumes and average size of the purchase, is shared only with permission of the merchants, Eisen added. "No individual transaction or personal data is provided," he said in a statement. "We do not provide insights that track, serve up ads to, or even measure ad effectiveness relating to, individual consumers." Last year, when Google announcedthe service, called "Store Sales Measurement," the company just said it had access to "approximately 70 percent" of U.S. credit and debit cards through partners, without naming them. Google is testing the data service with a “small group” of advertisers in the U.S., according to a spokeswoman. With it, marketers see aggregate sales figures and estimates of how many they can attribute to Google ads -- but they don’t see a shoppers’ personal information, how much they spend or what exactly they buy. The tests are only available for retailers, not the companies that make the items sold inside stores,the spokeswoman said. The service only applies to its search and shopping ads, she said. For Google, the Mastercard deal fits into a broad effort to net more retail spending. Advertisers spend lavishly on Google to glean valuable insight into the link between digital ads a website visit or an online purchase. It's harder to tell how ads influence offline behavior. That’s a particular frustration for companies marketing items like apparel or home goods, which people will often research online but walk into actual stores to buy.